Dr. Caldicott’s interview with study author Dr. Arjun Makhijani. Dr. Caldicott’s interview with Dr. Craig Eisendrath. Dr. Caldicott talks about how American culture and corporations have taken over the world and destroyed healthy cultures. Herbert points to the fantasy thinking and lack of political engagement among American citizens. Dr. Caldicott also mentions the problem of plastic waste polluting the oceans. Listen to her interview with Capt. Charles Moore. Relevant to this interview is the December 2012 article US War Machine Leaves Ugly Imprint in Afghanistan. 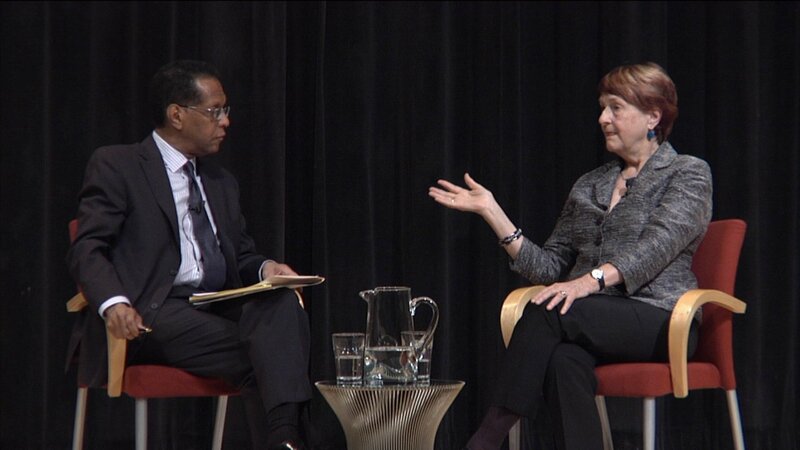 Watch the complete conversation between Dr. Caldicott and Herbert here. Listen to Dr. Caldicott’s 2012 interview with Bob Herbert here and her 2009 interview here. This entry was posted on Friday, December 28th, 2012 at 12:00 am	and is filed under Uncategorized. You can follow any responses to this entry through the RSS 2.0 feed. Both comments and pings are currently closed.